Pictures in Nick’s class of the kiddos and the Teach, then a quick stop at the grocery store and off to the Track Finals. Tony decided at the end of this meet, next year he only wants to do one long run and then another activity. 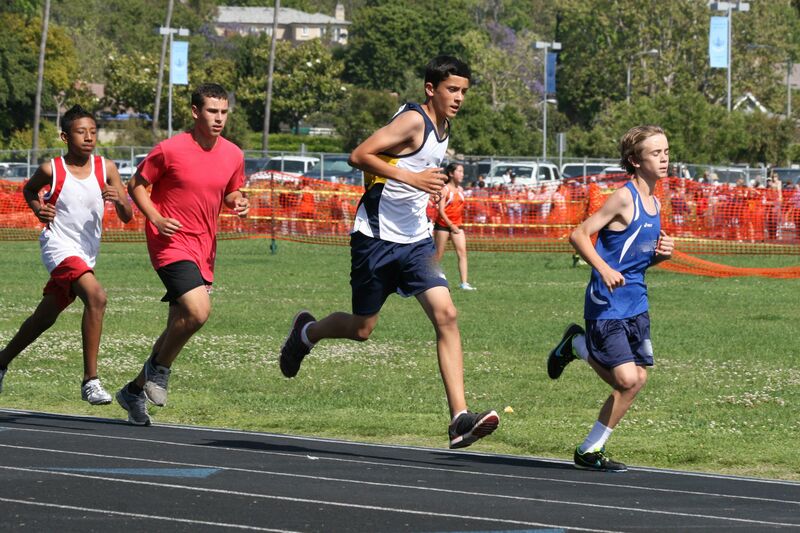 He came in 5th in the 1600, and 8th in the 800. It was fun to watch! We celebrated Hubba’s Bday tonight, but before the festivities Hubba played a mean game of Payday with Nick, his buddy Harrison, and Joe. I made a cinnoman roll cake but it didn’t get taken out of the oven when I went to get Hubbas balloons soooo it was burnt! The boys ate it anyway and said they loved it, I was so disappointed, that I sulked like a stupid baby. Hubba got a BBQ from Uncle Jimmy—so happy for him! 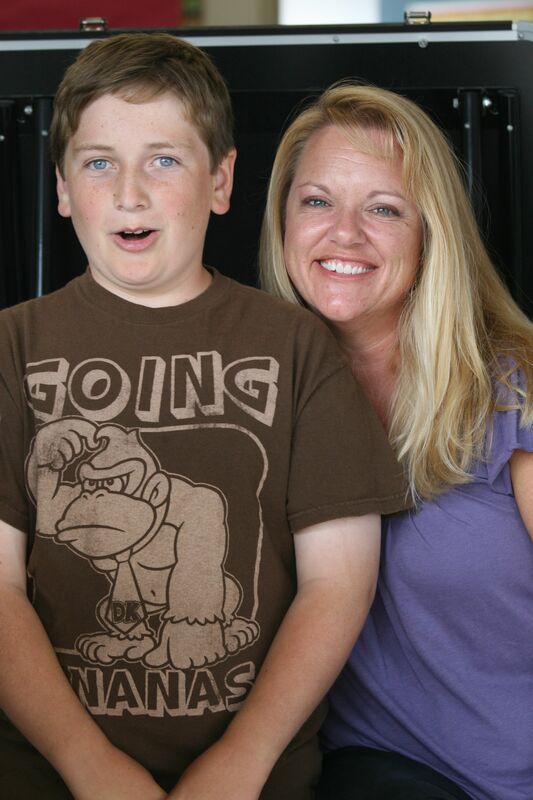 Happy Birthday Hubba! I met Hubba when he was 19 years old and now, this very day he is 39! Just wowzers. We had breakfast together, went to a movie…then we picked up the kiddos and started the after school shuffle! 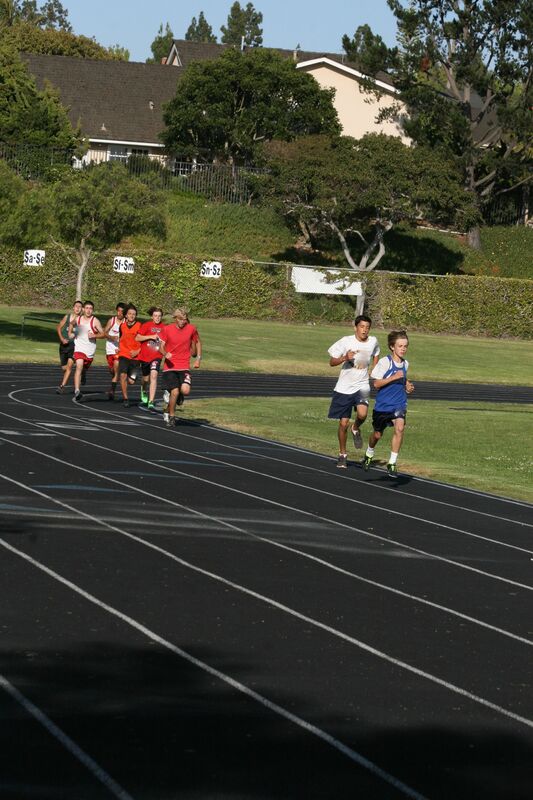 The Track Prelims were today right after school. Tony didn’t have to race in the 1600(everyone got in), so he raced the 800 and placed 4th… after the track meet hubba raced Joe to a soccer game and I raced the other two to a Boy Scout meeting where Nick got his totin chip “license” to use an ax,saw, and knife safely on campouts and other Boy Scout activities. Then dinner at Ruby’s at quarter to nine at night to support the school’s fundraiser. Joe had the shivers….couple hours later and he was in our bed with a fever! Busy bees! The cubs wrestling in the grass while waiting for Tony’s race at the track meet. O.K. so the boys returned today and I wanted to bake them something that would make the house smell wonderful, and say “Welcome Home” with out a lot of wordiness! As luck would have it, they walked into the house 5 minutes after I took the muffins out of the oven….still warm and fresh. And as luck wouldn’t have it the last one in was soooo mesmerized by the smell they forgot to shut the back door….each boy and hubba got a muffin, Boomer got 8 muffins. I shake my head! No heavy vegetable oil to make these moist, so it’s more cake like than banana bread! The Boys like them, lots! No need for a mixer for this recipe. Preheat the oven to 350°F . With a wooden spoon, mix butter into the mashed bananas and applesauce in a large mixing bowl. Mix in the sugar, egg, and vanilla. Sprinkle the baking soda and salt over the mixture and mix in. Add the flour last, mix. Pour mixture into cupcake tins sprayed with cooking spray. Bake for 25 minutes in our oven which runs hot, usually 30-35. Cool on a rack. Serve while warm. Makes 12. 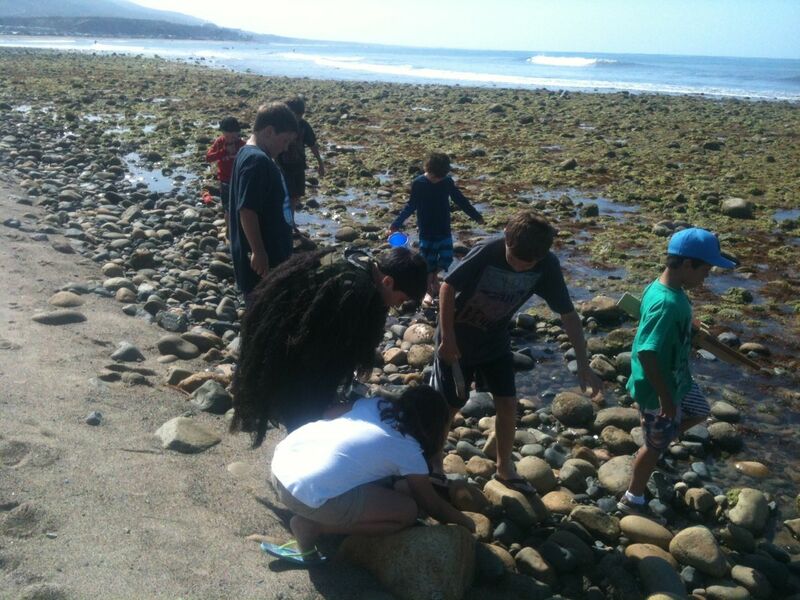 The Cub Scouts and their families got to go down to Camp Pendleton and camp right on the beach. 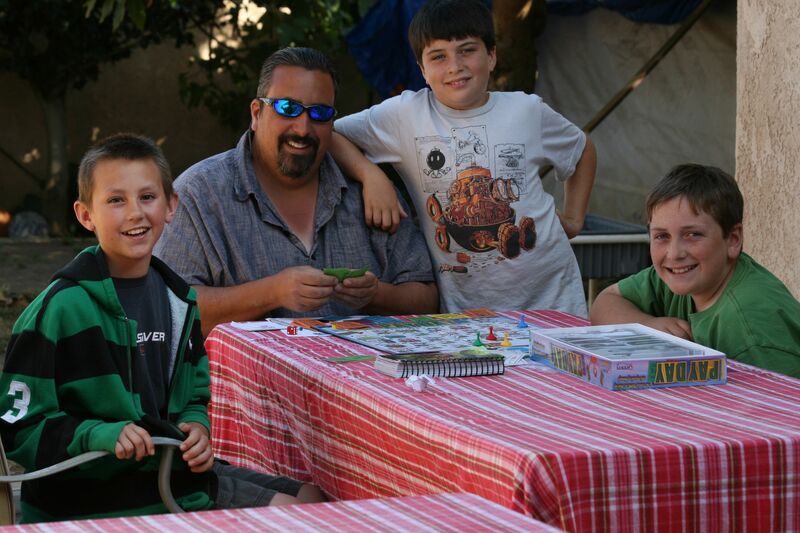 Joe has been planning this trip with his buddy Yamato for awhile! He was so excited. He brought his ghillie, wooden guns, camo clothes….and much, much more! He went on a hike with Hubba, Yamato, and Matthew. An ice-cream truck showed up and they got a frozen treat. They saw lots of sea cucumbers, and Hubba spooked them about an Indian burial ground—they awoke the spirits…all camp style fun! 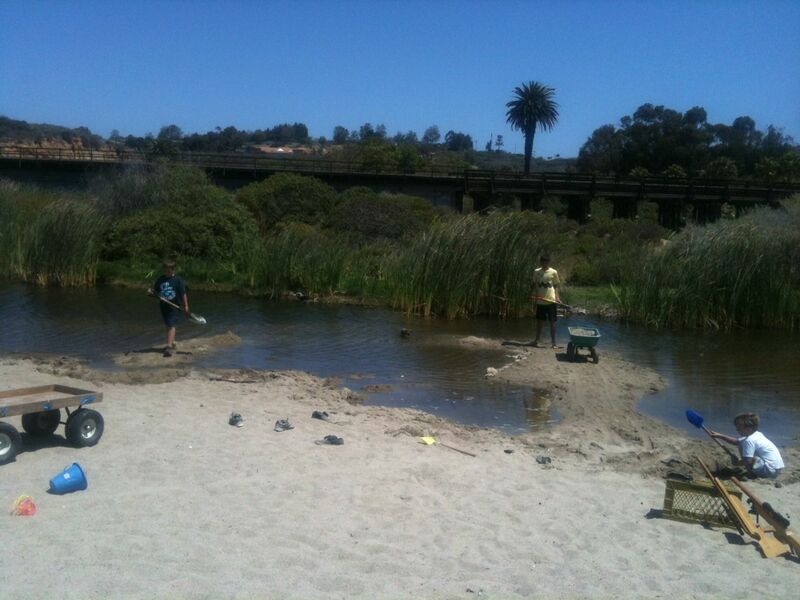 Nick and Tony, along with friends tried to build a bridge in the lagoon—they came close to finishing it. Hubba said Nick worked six hours straight, just digging up sand. Tony was a good sport with all the itty-bitties wanting him to play and he even went on a long run in preparation for his next track meet. 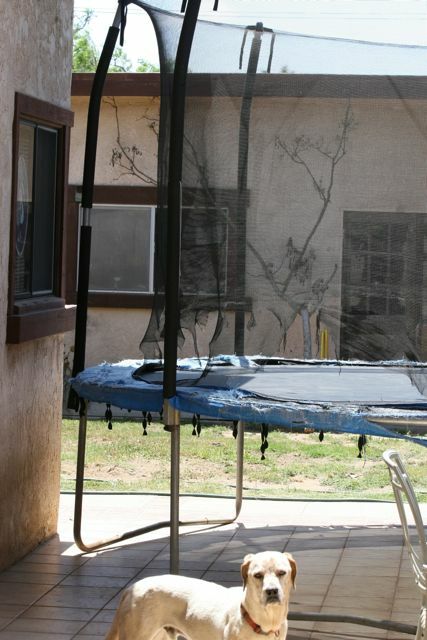 Beag looks sad, I put the Trampoline on Craig’s list today. Hubba and the boys are camping so I thought I’d get some stuff done! Someone came, disassembled it, and carried it off in less than 2 hours. It feels good to look out the window and not see the worn out net and the sad looking trampoline that everyone stopped playing on a year ago! 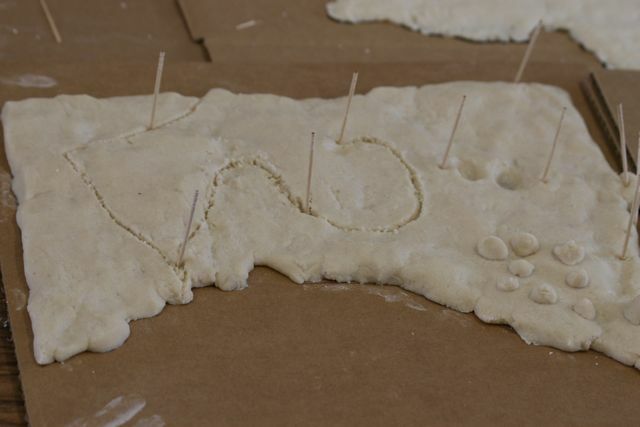 Nick made a Salt Dough Map of Minnesota, he will paint it once it dries. 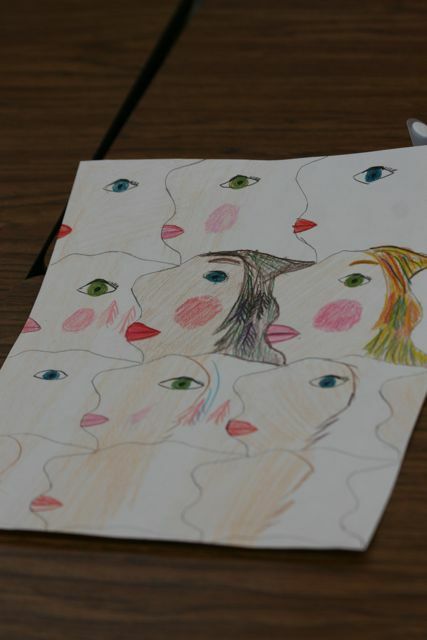 The 4th graders did a map of California and the 5th graders did one on the state they picked for thier States report. 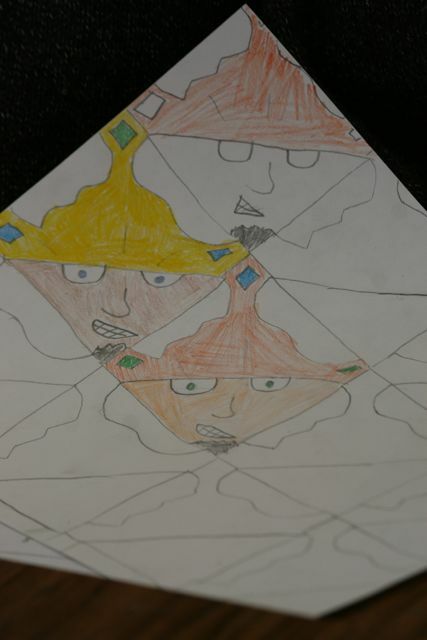 For Friday Art we worked on Tessilations,it came easy to some, not to others!